Matti Anttila from Finland bought a IDA 59 through EBay. He checked his set and step by step rebuild the unit. This write up shows the steps to be taken to use the Russian IDA 59. During his research he found that some parts were missing and others need to be cleaned. This page also tells the story how this unit was build and why it can be extremely dangerous when used by people who are not specialists. His experience offered the knowledge on how to modify this unit in the right way. Before even thinking about using or adding a modification to this unit, please understand that this is a complex unit that uses techniques that cannot be applied easily. 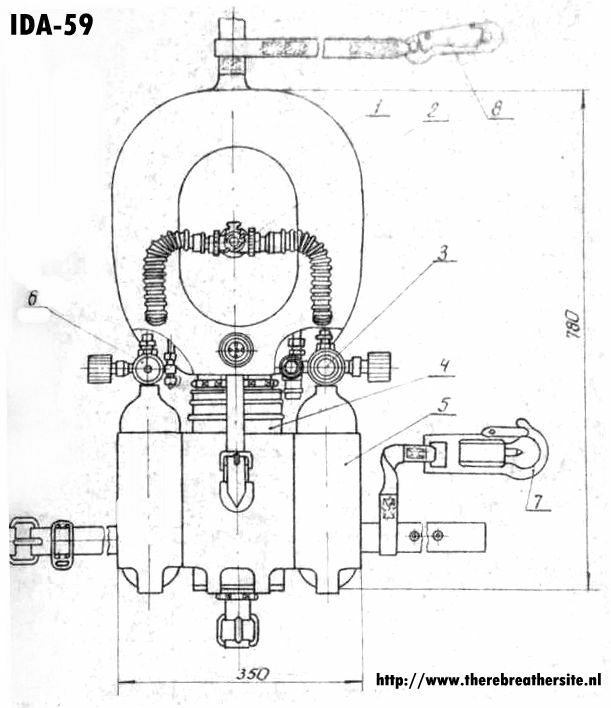 The oxygen mass flow valve is set in such a way that when diving this unit with standard sofnolime, it will lead to hypoxia and death. You need flow measurement equipment and a large knowledge of rebreathers before even thinking to go diving with this unit! 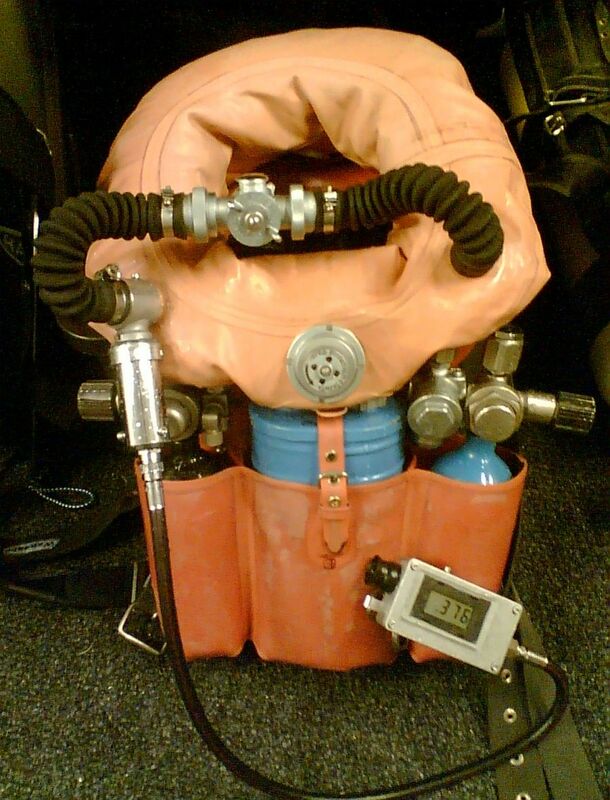 Diving this equipment without a continuous control of your pO2 is extremely dangerous and considered suicidal! 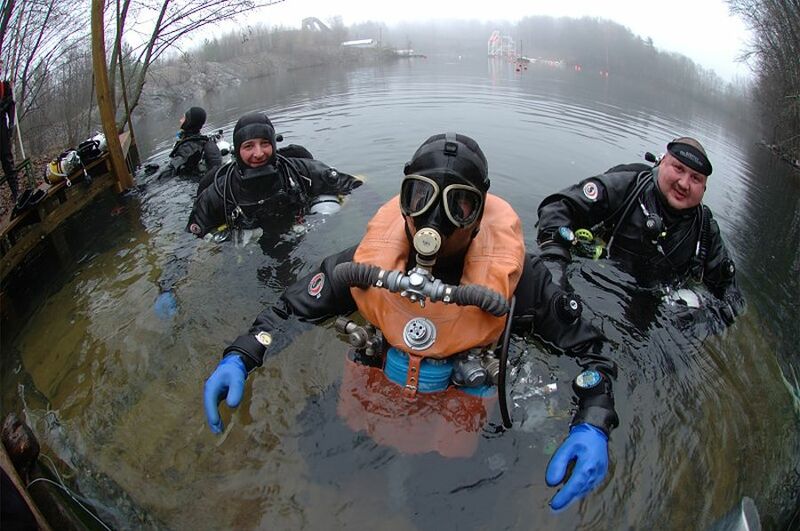 Matti Anttila during his test diving in Finland with support divers for safety! 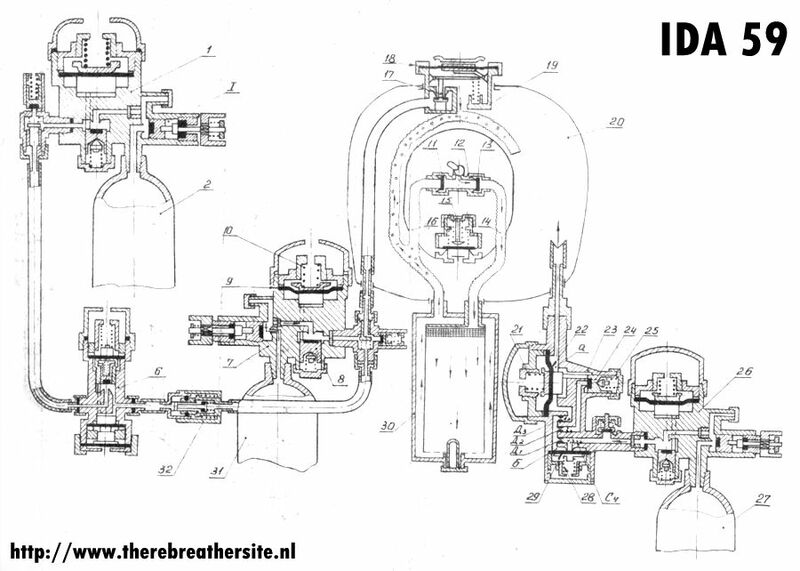 Layout of the complex gas addition system. Testing, building, not for starters! Matti Anttila's final configuration. Oxygen addition is modified since no Super oxide is used. The lack of oxygen in the loop is compensated by the modified oxygen flow of the CMF valve. I would like to thank Matti Anttila for sharing this information with us. 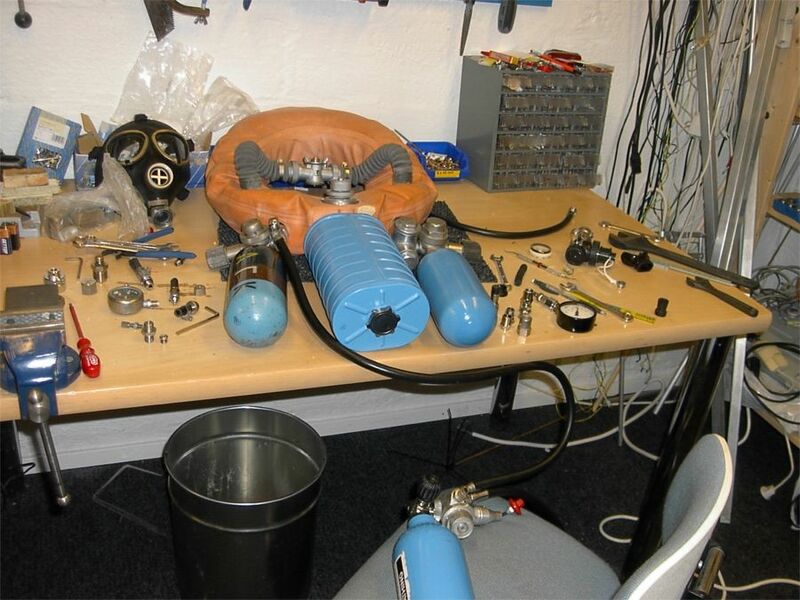 Please check his website with detailed information about the IDA 59 Rebreather. Beware of the CCCR!